Please join us for an evening with your elected officials from all levels of government. Hear from elected officials about current initiatives, services and priorities followed by a Q&A session. All county residents are welcome! The Town Hall meeting will take place on April 25th beginning at 6:30 PM at the Audubon Park Town Center in Audubon Park. 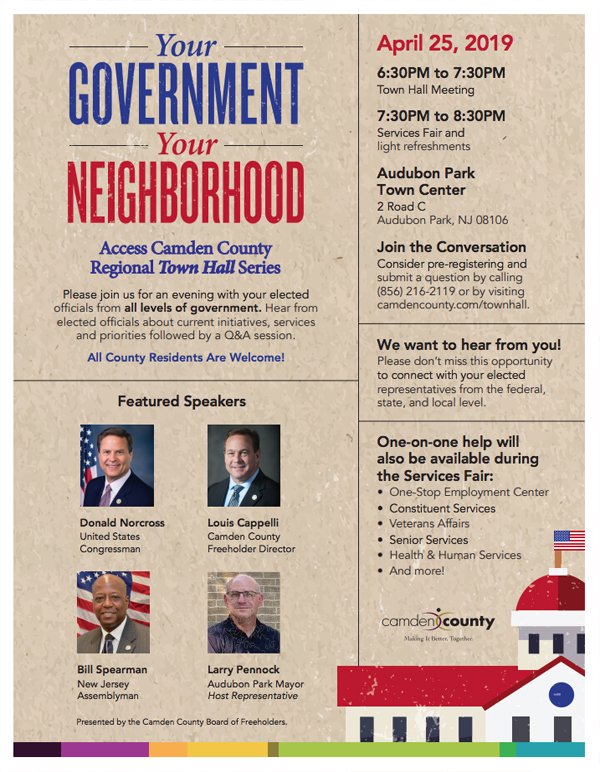 Consider pre-registering and submit a question by calling (856) 216-2119 or by visiting camdencounty.com/townhall.